Social media once looked like the silver bullet for nonprofit fundraising. Start posting, start tweeting, start crowdfunding, and the donations will just roll in! Sadly, that was never the case. Today, organic (unpaid) reach is down; social media algorithms push friends and family before brands such as nonprofits. Plus, millions upon millions of pieces of content appear every single day. Raising money on social media requires concerted, consistent effort and creativity, as well as resources, staff time, professional know-how, and even grit. Using one or more of these channels effectively should still make up an important part of a nonprofit's communications and fundraising strategy. However, we need a new approach. Instead of expecting social media to recruit a huge group of new supporters, why not use it to deepen connections with those who know and love you already? It is no secret that the key to keeping donors eludes many nonprofits. Moreover, is it any wonder why? I made a total of 20 donations to 20 nonprofits last year and received personalized thank yous from exactly nine of them. The 2016 Fundraising Effectiveness Survey found that the median donor retention rate for nonprofits is 46 percent. That means a little more than half of all donors gave one year but didn’t give again to the same nonprofit. The survey also discovered that for every $100 gained in new donations, charities lost $91 through gift attrition, such as lapsed donors or smaller gifts from current donors. You can calculate your own donor retention rate by dividing the number of returning donors in your last fiscal year by the total number of donors for that year. Why Is Donor Retention Important? A healthy donor retention rate for your nonprofit shows that you communicate well with your current donors, keep them engaged and encourage them to give year after year. Only looking at the bottom line of funds raised each year does not tell you if your donor stewardship works. If it does, then donors give year after year. Like most nonprofits, you must balance donor cultivation with donor acquisition, all while performing services, putting out fires, managing employees, and staying active on social media. It is a lot to ask for a small or mid-size nonprofit. Thankfully, you can also use social media thoughtfully and strategically to improve donor retention rates. Here are eight ways to use social media to improve donor retention at your nonprofit. 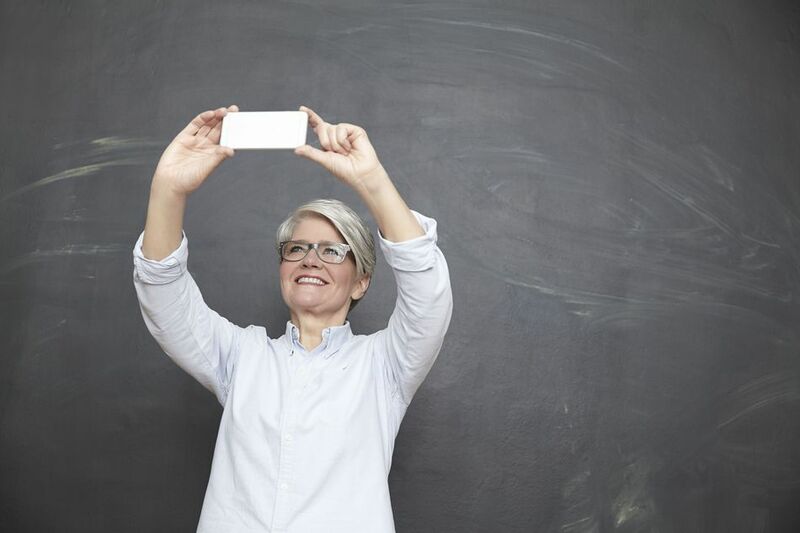 Despite what you may think, donors of all generations use social media to connect with friends and family members and to learn about news and causes that are important to them. According to the Pew Research Center, 7-in-10 Americans participate in at least one social media platform. Also, social media is not just for the young. As of November 2016, 34 percent of Americans 65+ used social media, and that number is growing steadily. The most popular social media platform for adult Americans is Facebook, with Instagram and Pinterest placing second and third. Your donors of all ages visit these sites every day, sharing photos and helpful information, watching entertaining videos, and discussing causes that matter to them. It is up to you to jump in and become a part of the conversation. When connecting with donors on social media, focus on grabbing their attention. Only a small percentage of your nonprofit fans and followers see your social media updates (this is why building your email list is crucial). However, you increase the chances of cutting through the clutter with a great visual. Video is the most popular type of content across all social media channels. Certain platforms auto-play the video, even without sound, so it catches the eye when users scroll down their news feeds. This is where you show how donations and gifts were used. Your social media channels should always be chock full of relevant evidence about where the money went, whom it helped, how it made an impact, and what more donations could do. Visual updates on fundraising campaigns, or even just a quick snapshot of someone helped by your nonprofit, can make all the difference. People want to be a part something bigger than themselves. Treat your donors as partners and investors by providing information and frequent updates on what their donations helped build. Don’t deal with donors like ATMs. Communicate with them like friends. Make your donors smile when they see the results their gift helped to achieve. You can see great examples of this on the social media accounts of Boston Children’s Hospital, St. Baldrick’s Foundation, and Cape Ann Animal Aid. Your donors care about your organization and your cause. They look to you for updates, news, information, and education on this subject. You should be the go-to expert for your donors. Is this cause still important? For example, we all know that homelessness is a problem—but maybe your donors have not heard about it in the news lately. How will they know what’s going on? Your nonprofit needs to provide a crucial piece of this information puzzle. If someone has made a gift to your nonprofit, he or she trusts you to find a solution to a problem they think is important enough to give financially. You earned your donors' trust, now show them that you can resolve this issue eventually, but that we are not there yet. As a bonus, direct your donors to other resources and conversations, such as reputable Tweet Chats (for example, #PovertyChat, #HealthChat) and relevant Facebook Groups. Social media ads can be targeted to very specific groups of people, based on geography, age, interest, and other behaviors. Nonprofits can upload a donor list to create a select Custom Audience. When you create a Custom Audience, you upload donor contact info into Facebook and create the ad. If the donors are on Facebook, they will see the ad. Custom Audiences can be used to create ads for lapsed donors ( “Hey, did you forget something this year?”), current donors (“Thank you so much for your gift”), and more. Explore Custom Audiences for your nonprofit. An example of a fantastic thank-you video comes from Children’s Hospital Colorado Foundation (“Thank You for Supporting Kids Like Me”). The video represents emotional, visual storytelling. It is sometimes hard to watch, but it also definitely inspires. You cannot help but feel like your gift has made a difference in the lives of these children. Charity: water always makes videos that showcase donor appreciation. The organization turned its fifth birthday into a huge thank you campaign, where volunteers and staff made phone calls, personalized videos, sent letters, and more. While charity: water does far-reaching work in the field, its donor thank you videos are entertaining, humorous, wacky, quirky, and fun. Watch here and be inspired to share your next thank you video campaign on social media. On Facebook, if the donor’s settings allow, tag them and thank them. If their personal profile cannot be tagged, consider tagging their business or other affiliation. Twitter is a fantastic avenue for tagging individual accounts. If your donors have shared news of their donation on Twitter or spread the word about your fundraising campaign, be sure to follow it up with a thank you tweet. There are many ways to use Facebook Live, and connecting with donors is one of them. Sharing announcements and news via live streaming, or going live from the field, are perfect ways to demonstrate authenticity and transparency—key qualities of successful nonprofits. Your organization can create a secret, or private, invite-only Facebook Group of donors and go live within that particular Group for even more exclusivity. Your donors want to feel included in your work, and they need to know that even the smallest donation had an impact on the problem at hand. Donors, large and small, do their best to make the world a better place. Our job as nonprofit professionals is to show them that they mean everything to us and that our work is not possible without them. Using social media to convey this message can add so much to your donor retention strategy.